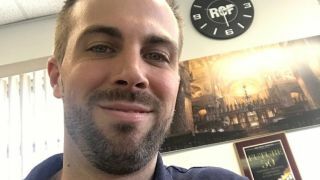 Loudspeaker manufacturer RCF has named Justin Brock new retail accounts manager. Brock joins RCF after a 10-year stint handling outside sales for a major industry retailer, as well as owning a recording studio. He noted that during that time, he was able to continue to sharpen his product knowledge, increase his awareness of competitive products in the industry, learn the ins-and-outs of installation needs, and build his customer relationships. Brock’s expertise and credentials include his knowledge of products and how they are positioned in the retail environment, his awareness of what consumers are looking for, recognizing trends, and understanding industry standards. “The first time I heard RCF, I listened to the ART312-A. It was unbelievable and I¹ve been a believer ever since,” Brock said. “It’s exciting because now I get to sell the speaker line I like so much, that always meets or exceeds expectations. Brock will work with all RCF national retail accounts along with major independent retailers.